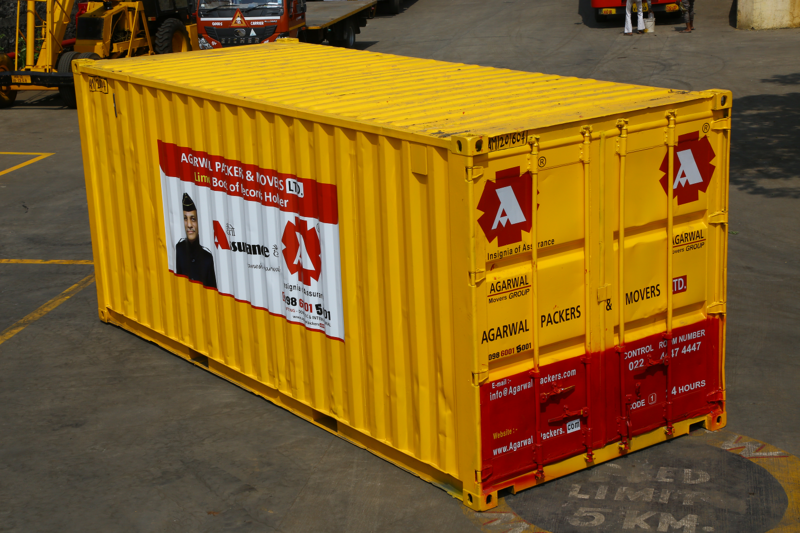 “Trucking Cube (Container)” is one such concept that has been devised by us to take the ways of transportation to a new level. Loaded with all the facilities to stow all sorts of articles, these cubes are utilized for conveying household, commercial, and industrial goods. These cubes are designed in different sizes to serve the variegated moving needs of the clients, that too in an affordable manner. 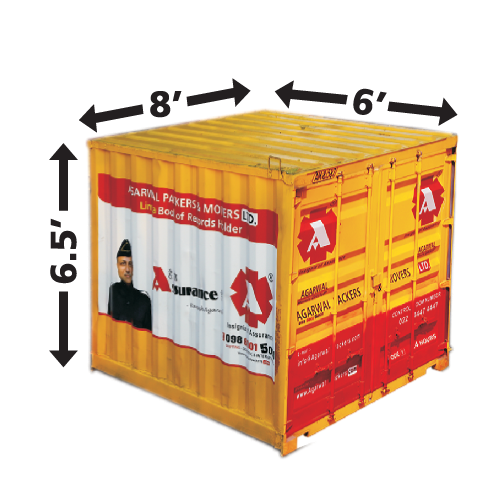 Internal Dimensions Length , Width , Height 20 ft. , 8 ft. , 8 ft. Door Opening Width , Height 8 ft. , 7.67 ft.
Internal Dimensions Length , Width , Height 16ft. , 8ft. , 8ft. Door Opening Width , Height 8ft. , 7.67ft. 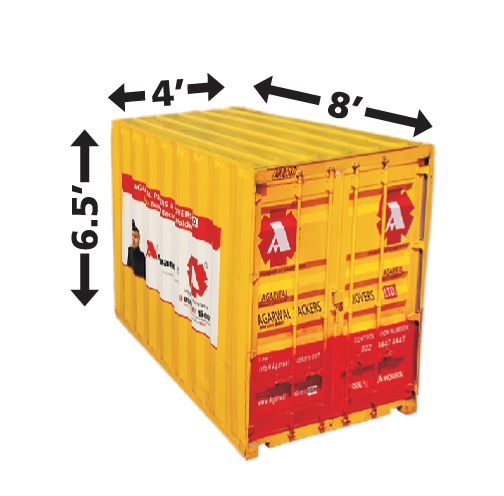 Internal Dimensions Length , Width , Height 11ft. , 8ft. , 8ft. Vol. (Cft.) 700 Cu. 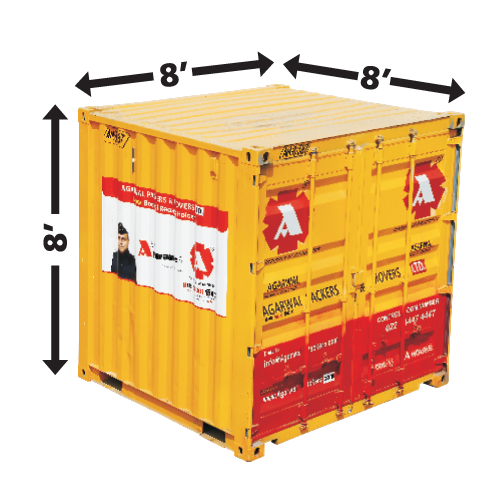 Ft.
Internal Dimensions Length , Width , Height 8ft. , 8ft. , 8ft. Vol. (Cft.) 500 Cu. 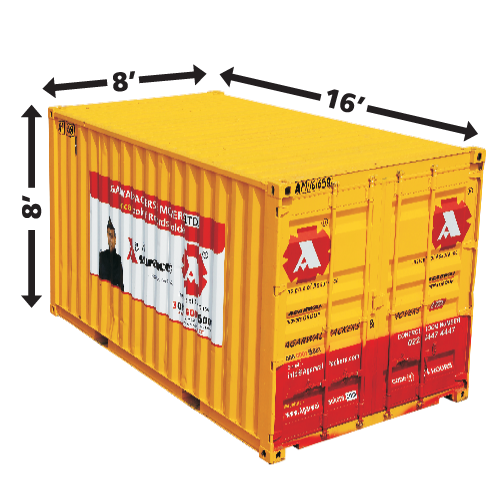 Ft.
Internal Dimensions Length , Width , Height 6ft. , 8ft. , 6.5ft. Door Opening Width , Height 8ft. , 6.17ft. Vol. (Cft.) 300 Cu. 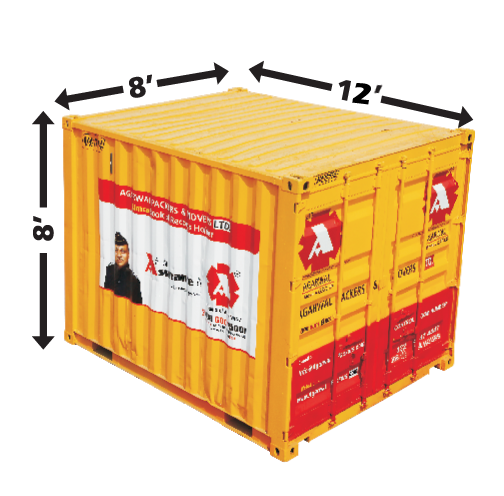 Ft.
Internal Dimensions Length , Width , Height 4ft. , 8ft. , 6.5ft.